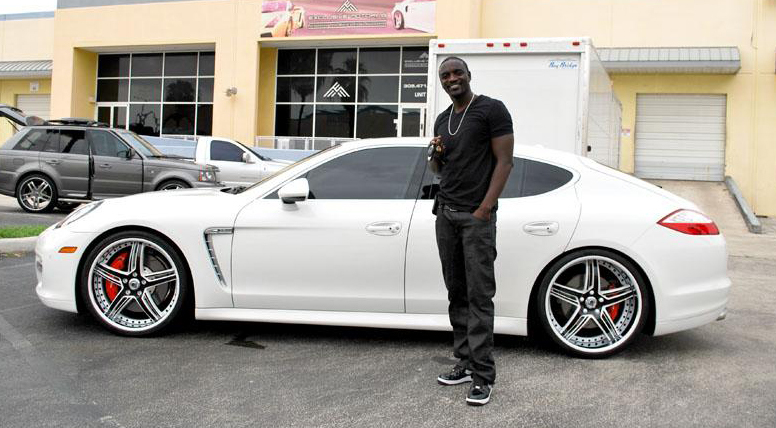 American R&B recording artist and songwriter Akon (born April 16, 1973) adds another car to his incredible fleet. This time it is a white Porsche Panamera with staggered white and black 22″ Savini wheels. It seems like white is the new black this year with cars, especially in Miami. The car was customized by Exclusive Motoring in Miami. The Porsche Panamera looks a little plain without a body kit but the wheels do help. I hold Akon to a higher standard and would have liked to see him take this custom build to the next level with some more black accents and maybe even a Mansory body kit.